Interstate 70 to the New Concord Ohio Exit. Drive North and turn right on Main Street. We are at 62 East Main Street on the right hand side of the street. At Tami Loves you will find many accessories for your home or office. The shop is creatively filled with beautiful things including artfully displayed antique and vintage treasures. We hope you find many ideas for your decorating needs so stop by and enjoy. We carry new and painted furniture, candles, vintage jewelry and many handmade items. Come in and BE INSPIRED! 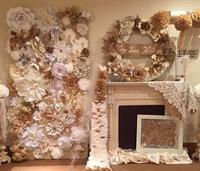 Tami Neff has been decorating area homes for over 23 years. Tami and her crew take pride in the details that make their work is step above the rest. They can help you choose paint colors, wall treatments, countertops and flooring. If you need advice we would love to help! Tami Neff is the area distributor for country chic chalk and mineral paints waxes metallic creams and plasters. 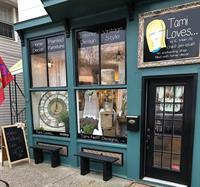 Tami Loves also has the store filled with beautiful clothing to make you look and feel beautiful.